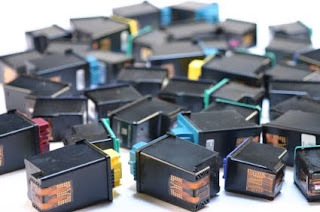 If you own a printer who’s cartridges can be refilled, here’s a pretty great deal that you may want to look into. If you have a Walgreens close to where you live, you can get them refilled for $12.99 each — which is quite a savings over purchasing a new one. Be sure to carefully look over your box after you get your first one filled. Chances are that you’ll find a coupon for 50% off your next refill. The coupon doesn’t expire until December 31, 2010 – so you can keep refilling and getting more coupons time and time again – all year long! That really can equate to HUGE savings if you can get new ink for basically $6.50 every time you need some. Makes me wish mine was refillable! !